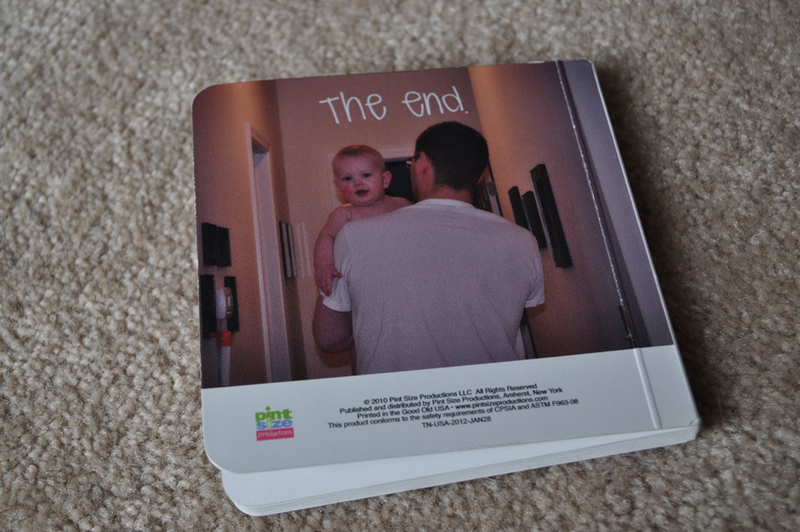 Making a custom board book was super easy. You literally pick a plain and simple layout and upload the pictures that you want for each left and right page spread, and add text if you want. 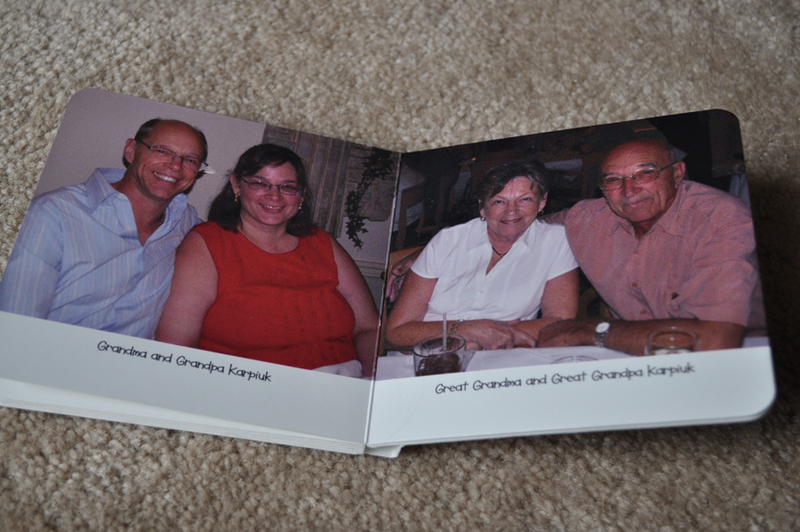 Our board book was composed of 16 pictures; 2 of those included the front and back cover image, so there were 14 interior pictures. 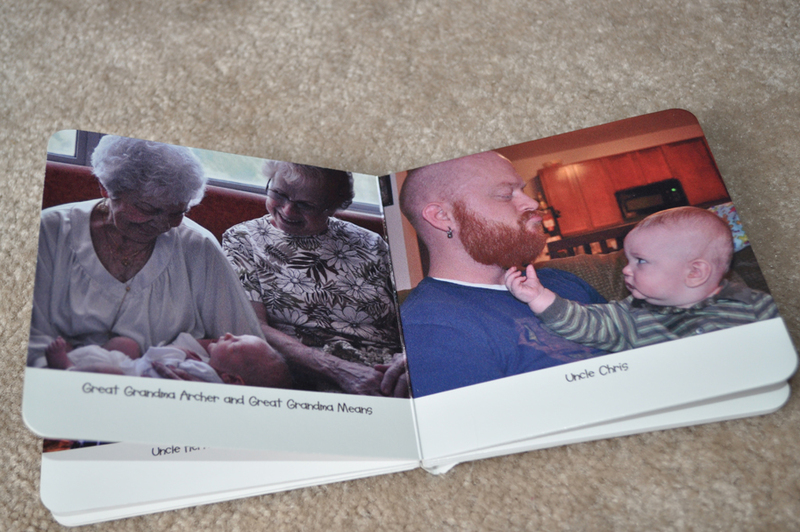 I used a picture of Liam for the front cover, and a cute photo of him over Lucas’ shoulder for “The end.” The pages include mama and daddy, all of his grandparents, great grandparents, aunts, uncles and cousins, and a few (but not all!) of our closest friends that we consider family and refer to as “aunt” or “uncle” with Liam… like the best man and maid of honor at our wedding. I like that he will be able to learn all of the faces of the people he sees the most and who love him in a special book made just for him. Right now he is completelyÂ enamored with books and obsessed with faces. What a perfect gift for him, right? When I placed the order I honestly expected it to take at least three weeks for the custom printing and shipment. 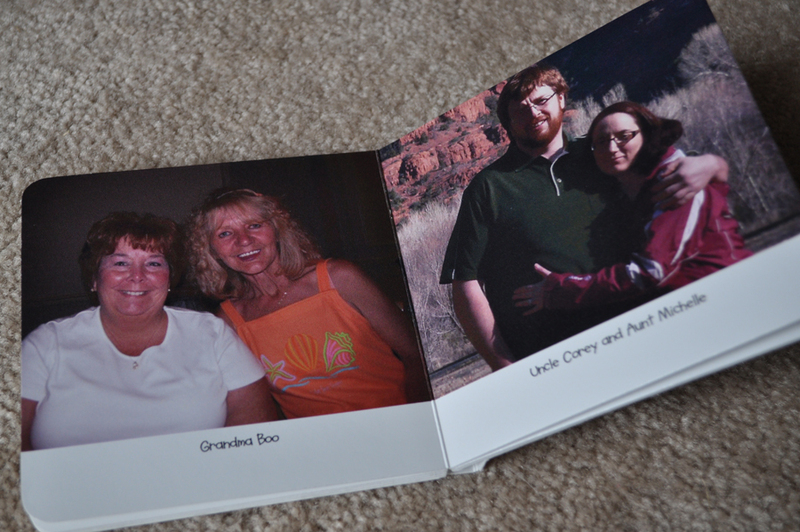 To my happy and unexpected surprise, I ordered the book on January 28 and received it on February 3. No kidding. 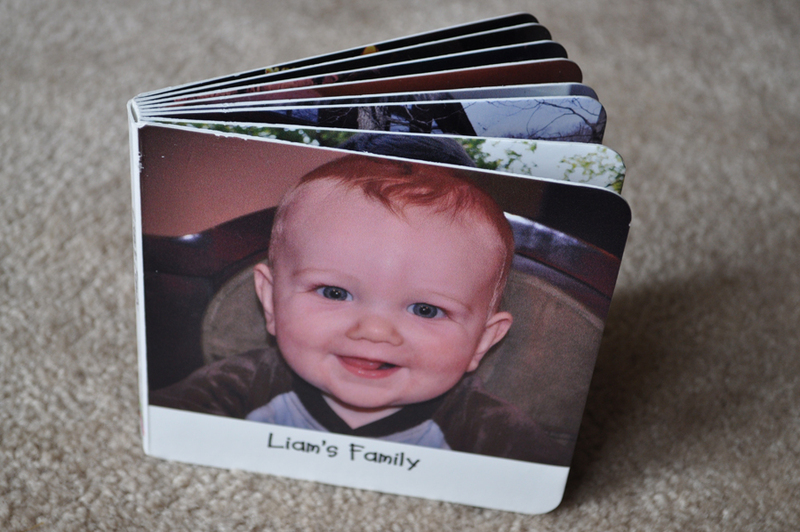 The pages are thick with a coating that makes them very durable against baby drool; the printed images don’t flake off at the corners when they get wet from constant chewing, unlike several board books that Liam has. 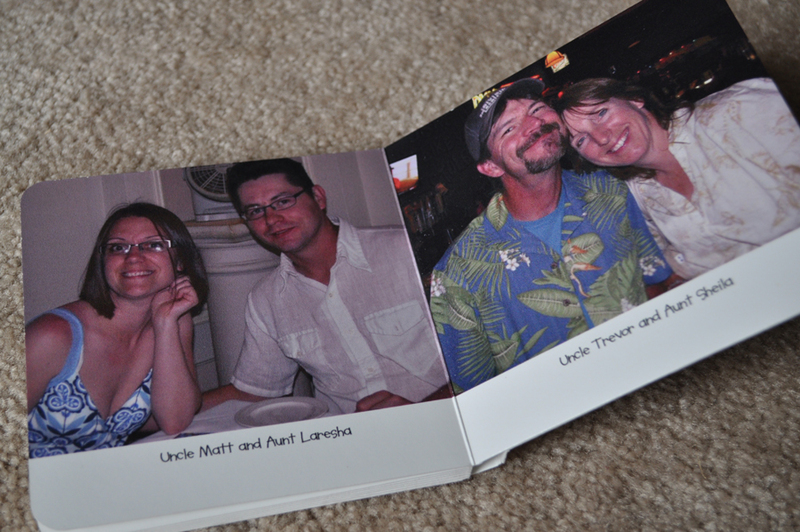 I think some of the pictures printed a little darker than I thought they would, but they’re clear and decent quality. I admit that only about half of the photos I used were at their full, original resolution; some I was unable to find originals of so they were uploaded at 800 x 600 pixels, but they looked just as good when printed as the pages that were uploaded at their original resolution. 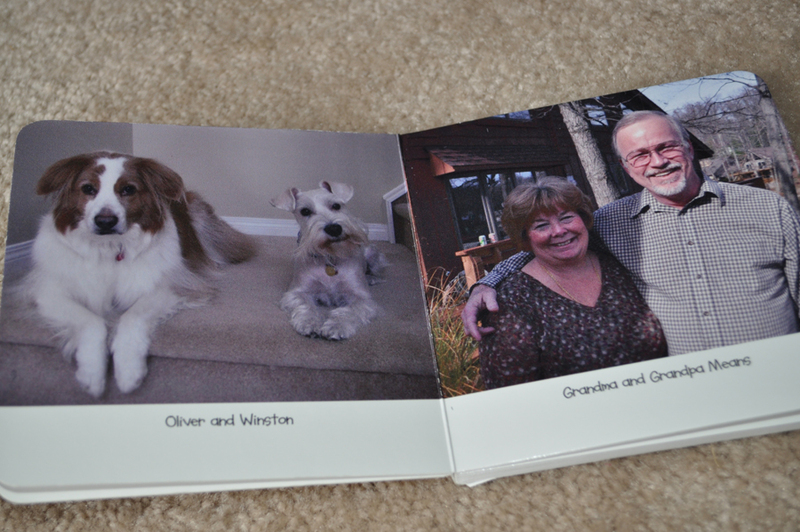 Overall I was really pleased with the quality of our book. Liam LOVES it. I also have to point out that Pint Size Productions sells a lot of exclusive Sandra Boynton stuff. We have quite a few of her books, and they’re a lot of fun to read aloud because they’re full of silliness, something we’re never short of in the Karpiuk household. 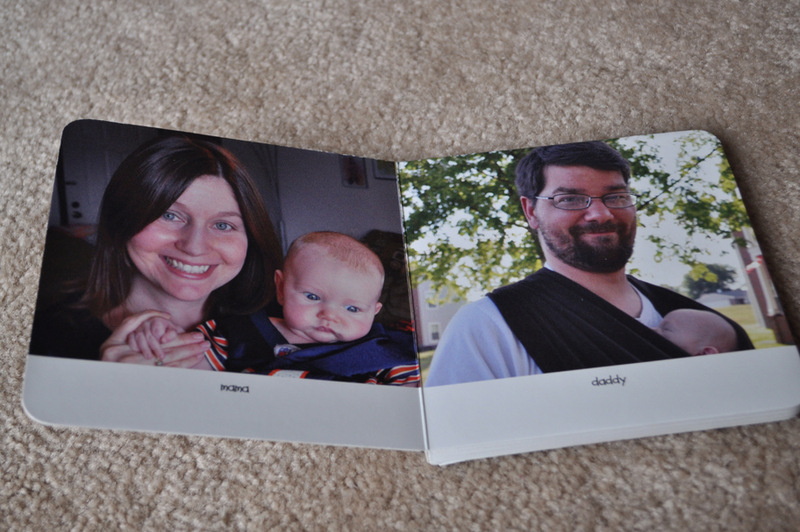 Seriously, a truly personalized board book is a fabulous gift idea. I’m thinking of doing something similar to the pictures-of-family-members idea for my nephew’s next birthday, and I’ve already got ideas for other books I could make for Liam. I’m in love! 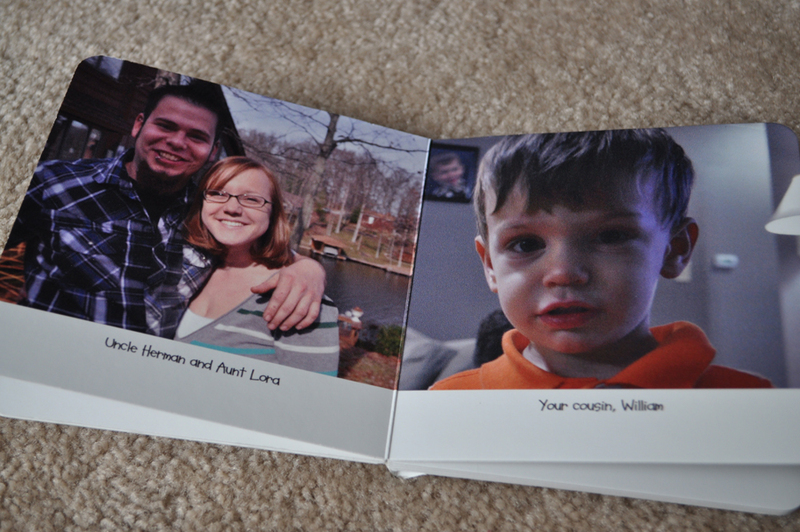 Here are all of the pages of Liam’s Family. And if you’re not in the book, don’t worry, we already have a part 2 planned. It was hard getting everyone in just 14 pages!